Taichung Metropolitan Park is located on Dadu Tableland across the border between Taichung City and Taichung County with a total area of about 88 hectares where is connected to Taichung City through Taichung Harbor Road and Yu-Yuan Road. Because the park is located on the top range of Dadu Tableland（altitude 310 meters）, visitors have a very wide view field on the magnificent landscape around. If you overlook far toward the east, you may clearly see Fan-Yuan area and even Tou-Ker Mountain right ahead. When you look closely onto the Taichung Basin, you may catch all the landscapes as a beautiful picture under your eyes. The scene is completely different if you overlook far toward the west. You may clearly see ships floating back and forth on Taiwan Strait. Besides, Taichung Harbor and Taichung thermal power plant as well can closely be seen right under your feet. The northern side of Dadu Tableland, nearby the southern bank of Dachia River, is very close to the Air force Base – Chin-Chuan Hill. Dadu River runs from the east to the west and divides Dadu Tableland on the north and Bargua Tableland of Changhua County on the south. 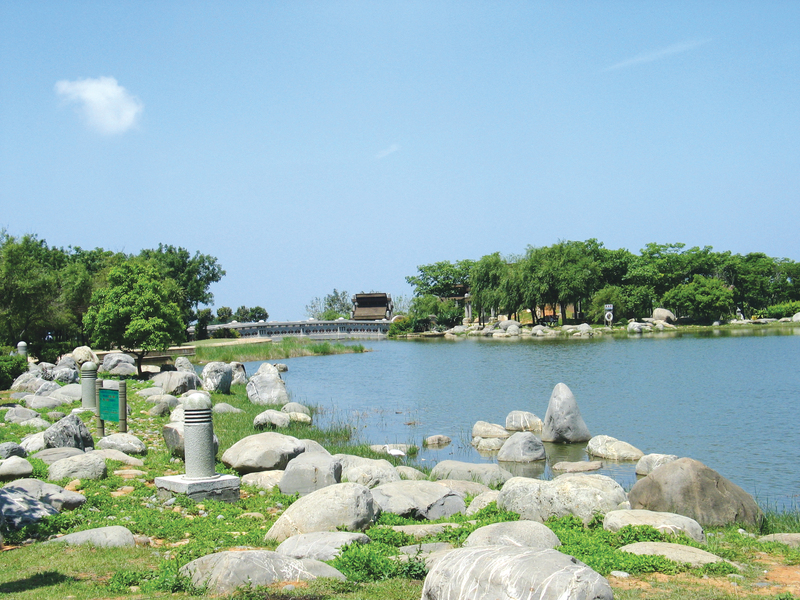 The important missions for the establishment of Taichung Metropolitan Park are not only to maintain the unique ecological resources of Dadu Tableland but also to provide metropolitan residents with a good place to learn things about the great nature and to participate in recreation activities. The environment quality today tends to be gradually degrading, the environmental function of this park is to maintain the bio-diversity of a habitat for indigenous wildlife and plants.